The cheapest international flights to Tofino are on Mobissimo, the free travel search engine. In addition to cheap international flights to Tofino, we help you find the best rates to both major and boutique hotels in Tofino. Consider flexible travel dates when looking for the best fares to Tofino, off-season travel or off-peak hours, or mid-week flights are all good options to lower your airline ticket fares. Consider also flying to other international airports in Canada : Akulivik, Duncan, Ilford, Kingfisher Lake, Muskrat Dam, Pikwitonei, Bella Coola, La Sarre, Summer Beaver, Wunnummin Lake, Bearskin Lake, Brockville, Chatham, Kangiqsualujjuaq, Kasabonika, Lac Brochet, Pukatawagan, Qualicum Beach, South Indian Lake, Tadoule Lake, Anahim Lake, Arctic Bay, Cat Lake, Fort Frances, Sault Ste. Marie(CA), Attawapiskat, Angling Lake, St. Anthony, Banff, Pelly Bay, Baie-Comeau, Uranium City, Bagotville, Black Tickle, Baker Lake, Campbell River, Brandon, Brochet, Berens River, Blanc Sablon, Courtenay, Cambridge Bay, Cornwall, Castlegar, Colville Lake, St. Catharines, Coppermine, Cross Lake, Chesterfield Inlet, Clyde River, Dawson, Davis Inlet, Dauphin, Nain, Dawson Creek, Eskimo Point, Elliot Lake, Fort Severn, Inuvik, Amos, Fort Albany, Iqaluit, Fredericton, Fort Hope, La Macaza, Flin Flon, Fort Simpson, Fox Harbour/St. Lewis, Gillies Bay, Fort Good Hope, La Grande, Gods Narrows, Gaspe, Iles-de-la-Madeleine, Igloolik, Havre St. Pierre, Kuujjuarapik, Gillam, Grise Fiord, Port Hope Simpson, Hudson Bay, Dryden, Holman, Gjoa Haven, Hamilton(CA), Hornepayne, Hopedale, Poplar Hill, Harrington Harbour, Hay River, Halifax, Atikokan, Pakuashipi, Ivujivik, Pond Inlet, Island Lake/Garden Hill, Jasper, Stephenville, Kamloops, Kitchener Lake, Kangirsuk, Schefferville, Waskaganish, Klemtu, Chisasibi, Lake Harbour, Chapleau, Lac La Martre, Lansdowne House, Lloydminster, La Tuque, Leaf Rapids, Kelowna, Fort McMurray, Moosonee, Chibougamau, Natashquan, Wemindji, Gatineau, Norway House, Points North Landing, North Spirit Lake, Nemiscau, Old Crow, Ogoki Post, Oxford House, High Level, Oshawa, Rainbow Lake, Ottawa, Prince Albert, Port Alberni, Paulatuk, Peace River, Esquimalt, Aupaluk, Pickle Lake, Pikangikum, Port-Menier, Peawanuck, Prince Rupert, Powell River, Povungnituk, Fort Chipewyan, Burns Lake, Quebec, Quaqtaq, The Pas, Windsor, Watson Lake, Yarmouth, Kenora, Lethbridge, Moncton, Nakina, Comox, Regina, Thunder Bay, Grande Prairie, Gander, Sydney(CA), Quesnel, Rae Lakes, Resolute Bay, Cartwright, Rigolet, Roberval, Red Lake, Red Sucker Lake, Rankin Inlet, Sudbury, Stony Rapids, Snowdrift, Smith Falls/Montague, Saint John, Sanikiluaq, St.-Leonard, Fort Smith(CA), Salmon Arm, Postville, Marathon(CA), Nanisivik, Sachs Harbour, Pembroke, Thicket Portage, Cape Dorset, Alma, Thompson, Big Trout Lake, Tasiujuaq, Timmins, Tuktoyaktuk, Umiujaq, Montreal, Repulse Bay, Hall Beach, Rouyn-Noranda, Bonaventure, La Ronge, Broughton Island, Kuujjuaq, Norman Wells, Vancouver, Deer Lake, Kangiqsujuaq, Winnipeg, Fort Franklin, Wabush, Williams Lake, Williams Harbour, Webequie, White River, Cranbrook, Edmonton, Saskatoon, Medicine Hat, Fort St. John, Rimouski, Sioux Lookout, Whale Cove, Pangnirtung, Prince George, Terrace, London(CA), Abbotsford, Whitehorse, Wawa, North Bay, Calgary, Smithers, Fort Nelson, Penticton, Charlottetown, Spence Bay, Victoria(CA), Churchill, Goose Bay, St Johns, Kapuskasing, Mont-Joli, Toronto, Yellowknife, Salluit, Sarnia, Coral Harbour, Port Hardy, Sept-Iles, York Landing, Bathurst(CA), Bella Bella, East Main, Fond-du-Lac, Fort Norman, Gods River, Gethsemani, Kaschechewan, Kegaska, La Tabatiere, Nanaimo, Sachigo Lake, Round Lake, Sandy Lake, Tete-a-la-Baleine, Shamattawa, Churchill Falls, Wollaston Lake, Kingston(CA). Mobissimo is also available on Facebook , Twitter, Google+ and other social networks. 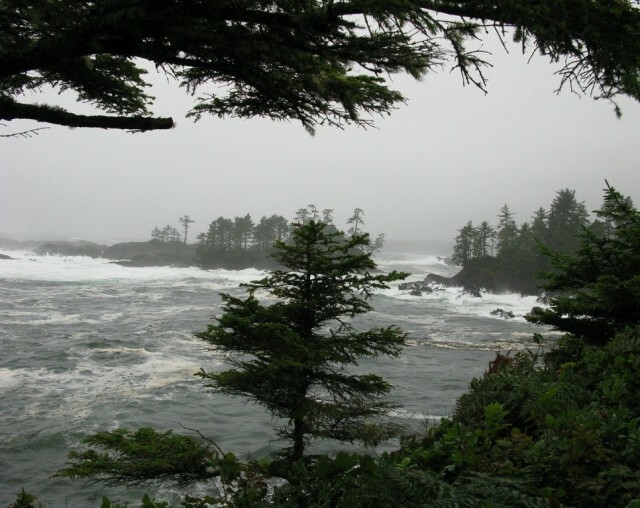 Read our Travel Blog to find fantastic flights deals to Tofino.